Fishermen can now be alerted about natural disasters and position of the International Maritime Boundary Line while they are at the sea using the NaVIC system, a home-grown GPS, a senior ISRO scientist said Friday. This will help in loss of lives of fishermen and alert them from entering the waters of the neighbouring countries, he said. The system was developed after the Kerala government approached the Indian Space Research Organisation (ISRO) following the Cyclone Ockhi that claimed lives of fishermen who did not get timely information about the approaching disaster in December last year. Nilesh Desai, Deputy Director of the ISRO’s Space Application Centre, Ahmedabad said the low-cost device can also give information about the location of fish available in the sea. It is not merely a denial to participate in the first ever joint military exercise within the framework of BIMSTEC (The Bay of Bengal Initiative for Multi-Sectoral Technical and Economic Cooperation) from a close neighbor Nepal rather specific parallel developments in China-Nepal relations that would cause serious concerns within the Indian strategic circle. Nepal is now poised to participate in a 12-day long joint military exercise with China termed as Sagarmatha Friendship-2 scheduled to be undertaken from September 17 to 28 in Chengdu. It is worthwhile to mention that even while it took 17 years for BIMSTEC to establish a permanent secretariat in Dhaka in 2014, India is recently making concerted attempts at invigorating the sub-regional initiative in the face of enhancing Chinese sway in the region. Despite tough talk from Washington, Taliban leaders continue to enjoy a sanctuary in Pakistan and support from Pakistan security agencies. 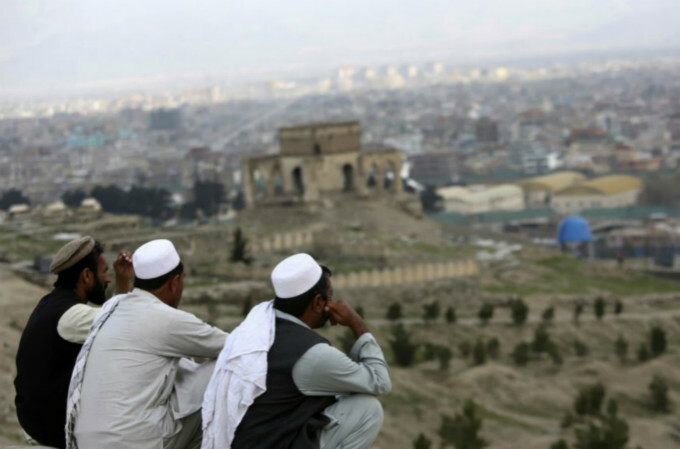 A review of insurgencies since World War II suggests that groups like the Taliban, which retain a sanctuary in neighboring states, either win insurgencies or successfully drag them out. If Washington is serious about ending the war in Afghanistan—including through a peace settlement—it needs to put significant pressure on the Taliban and Haqqani Network in Pakistan, not just in Afghanistan. Anyone who has lived through the lies the U.S. government told about the war in Vietnam, or its failure to honestly report the uncertainties regarding Iraq’s continued pursuit of weapons of mass destruction that led to the U.S. invasion in 2003, knows how dangerous it is for the U.S. government to paint a false impression of success in a war or crisis, and to lie directly or by omission. Anyone who has served in the U.S. government also knows how tempting it is for officials, commanders, and public affairs offers to “spin” the course of a war in favorable terms, to pressure the intelligence community for favorable results or silence, and to shape internal planning and analysis around comforting assumptions and illusions. As the people of Idlib province and the displaced who moved there to escape mayhem elsewhere in Syria tremble in anticipation of the onslaught many expect to bring an end to the seven-year conflict, some among them must certainly wonder, what has the bloodshed accomplished? When it is over, not only will more than half a million people have died but more than six million will have been made refugees and more than twice that will have required some form of humanitarian assistance. And when it is over, an Assad will most likely rule over Syria, as has been true since 1971, leaving the family well-positioned to celebrate the 50th anniversary of their brutal reign over the country in just three years. Chinese Foreign Minister Wang Yi landed in Islamabad for a three-day visit last Friday to discuss a wide range of subjects central to bilateral ties between two countries. Over the three days, Wang Yi met with Prime Minister Imran Khan, President Arif Alvi, Army Chief Gen Qamar Javed Bajwa and Foreign Minister Shah Mehmood Qureshi, among other officials. Government officials confirmed that all talks were dominated by the China Pakistan Economic Corridor (CPEC) with various aspects of the project discussed. GENEVA (Reuters) - Many governments are neglecting or ignoring their duty to protect online encryption that helps ensure freedom of expression and privacy, the U.N. expert on freedom of expression said on Monday. In many states including Russia, China, Iran, Turkey, Pakistan and Britain, citizens cannot count on keeping their online conversations private, according to a report prepared for the U.N. Human Rights Council by special rapporteur David Kaye. There had been a surge in state restrictions on encryption in the past three years, Kaye wrote in a report submitted to a three-week session of the Council that began on Monday. 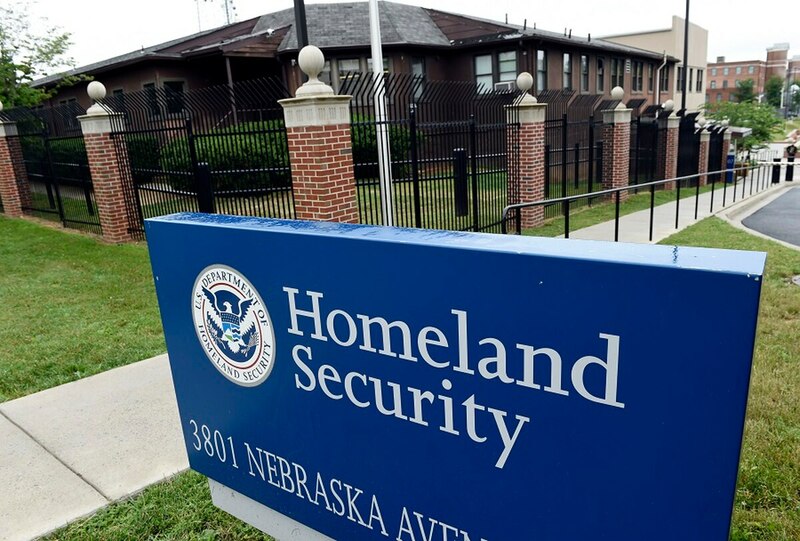 “Since 2015, states have intensified their efforts to weaken encryption used in widely available communications products and services,” the report said. Nepal is a state symbiotically tied to India. Yet today it has an openly pro-China communist government that is hostile to India. The number of communist-ruled countries in the world increased by one to six earlier this year when landlocked Nepal joined China, Cuba, Laos, North Korea and Vietnam. Despite Prime Minister Narendra Modi’s efforts to woo him, Nepal’s new prime minister, Khadga Prasad Oli, persists with his troubling tilt toward China. Consider the latest two reminders of Oli’s approach: His government has pulled out of the first ever anti-terror military exercises being held from September 10 in Pune under the auspices of the grouping known as the Bay of Bengal Initiative for Multi-Sectoral Technical and Economic Cooperation, or BIMSTEC; and it has implemented a transit transport agreement with China mainly to undercut India’s leverage. Share on Twitter (opens new window) Share on Facebook (opens new window) Share on LinkedIn (opens new window) Save Save to myFT Tom Mitchell in Beijing YESTERDAY Print this page333 As another fruitless round of China-US talks to avert a trade war wrapped up in Washington on August 23, foreign officials were arriving in the US capital for a potentially far more consequential meeting the next day. The occasion was an unusual trilateral forum that brings together trade officials from the US, EU and Japan. Their mission: to combat the allegedly unfair trading practices by unspecified “third countries”. When US trade representative Robert Lighthizer and his EU and Japanese counterparts announced their initiative on the sidelines of last December’s World Trade Organization meeting in Buenos Aires, they did not single out any one country for fostering allegedly “unfair competitive conditions caused by large market-distorting subsidies and state-owned enterprises, forced technology transfer and local content requirements”. 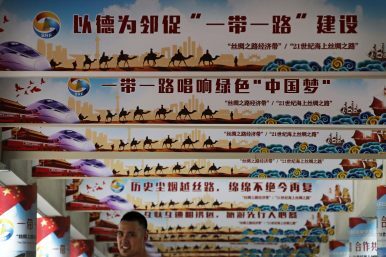 A list of 26 predominantly Muslim countries considered sensitive by China reflects Chinese concerns that they could reinforce religious sentiment among the People’s Republic’s Turkic Muslim population with potentially far-reaching consequences if the Islamic world were to take it to task for its crackdown in Xinjiang, the most frontal assault on Islam in recent history. The list compiled by Human Rights Watch as part of a just published report on the crackdown in China’s strategic north-western province details the roll-out of the world’s most intrusive, 21st century surveillance state as well as an attempt to re-educate a population of 10 million that includes primarily Uyghurs, an ethnically Turkic Muslim group, as well as Muslims of Central Asian origin. So “ systems of systems ”—not individual warriors or ships, planes, or tanks—go to war? Good to know. That’s what China’s People’s Liberation Army (PLA) thinks, at any rate. China’s 2015 Military Strategy, for example, vows to employ “integrated combat forces” to “prevail in system-vs-system operations featuring information dominance, precision strikes and joint operations.” This is how China’s armed forces intend to put the Maoist “military strategic guideline of active defense”—the “essence” of Communist China’s way of warmaking—into practice. They will fabricate systems-of-systems for particular contingencies and send them off to battle. Once there they will strive to incapacitate or destroy enemy systems-of-systems. Firm up your own weak spots while assailing an opponent’s and you shall go far. The last vestige of the Islamic State’s caliphate that straddled Syria and Iraq is under attack. Members of an American-backed coalition said Tuesday that they had begun a final push to oust the militants from Hajin, Syria, the remaining sliver of land under the group’s control in the region where it was born. The assault is the final chapter of a war that began more than four years ago after the Islamic State, also known as ISIS, seized vast tracts in Iraq and Syria and declared a caliphate. The group lost its last territory in Iraq last year. The caliphate put the Islamic State on the map physically and politically. The group seized major industries and taxed residents, generating enormous sums to fund its war effort, including training fighters to carry out attacks in Europe. The notion of the caliphate also provided a powerful recruiting tool. More than two weeks of nearly uninterrupted price gains for crude oil ended this week, with the rally running out of steam. The question is what happens next? Oil prices posted steep losses just as the bulls were back on the march. WTI briefly topped $70 per barrel in recent days and Brent was flirting with $80. But the rally was kneecapped by a variety of factors, and it could be challenging to break above those key pricing thresholds in the near future. “[A]lthough the timing of the price slide comes as a surprise – Brent dipped well below $76 for a time [on Thursday] – the slide itself does not, as expectations recently have doubtless been too optimistic,” Commerzbank wrote in a note. In fact, to some, the timing was not all that surprising – WTI faced technical resistance at around $70-$71, and having failed to break above that threshold, was forced back down. Even if free trade is ultimately broadly beneficial, the fact remains that as trade has become freer, inequality has worsened. One major reason for this is that current global trade rules have enabled a few large firms to capture an ever-larger share of value-added, at a massive cost to economies, workers, and the environment. 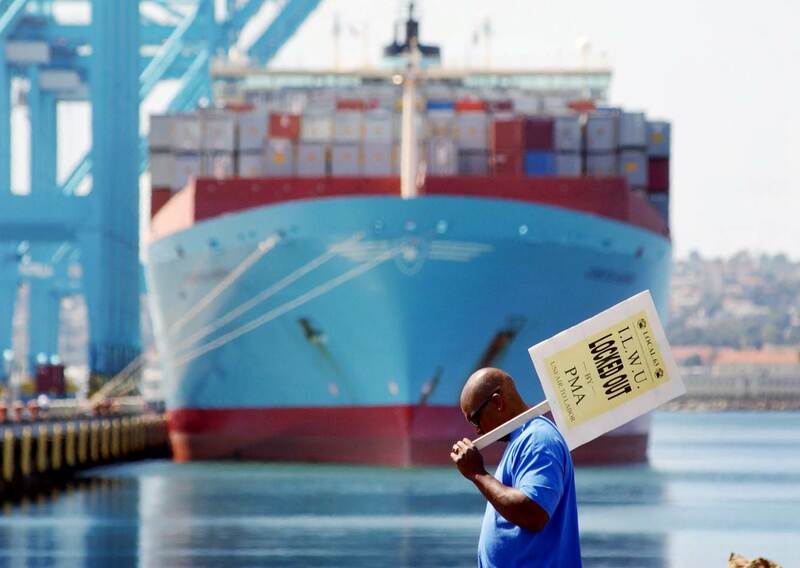 For most critics of globalization, trade is the villain, responsible for deepening inequality and rising economic insecurity among workers. This is the logic driving support for US President Donald Trump’s escalating tariffs. Why, then, does the message resonate far beyond the United States, and even the advanced economies, to include workers in many of the developing countries that are typically portrayed as globalization’s main beneficiaries? Ukraine’s Infrastructure Minister Volodymyr Omelyan has been stepping up his insistence that train and bus routes to Russia should be canceled. Such a decision would need to be approved by President Petro Poroshenko. Omelyan’s recommendation is driven by security concerns: Kyiv alleges that visitors from Russia played a critical role in fomenting the separatist movement in eastern and southern Ukraine in 2014, while numerous political prisoners from Ukraine, several of whom were seized while traveling to Russia, continue to face serious hardships in Russian custody. However, Ukraine’s Foreign Minister Pavlo Klimkin contends that cutting transport communication with Russia would be wrong from a humanitarian point of view. Instead, he favors adopting a strict visa regime with Russia. 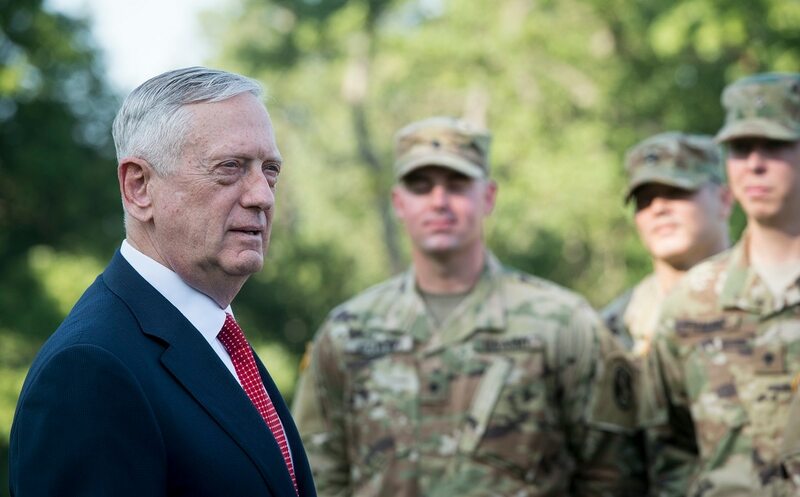 The number of courts-martial and other severe punishments meted out to misbehaving troops across the military has steadily declined in recent years, raising concerns at the Pentagon’s highest levels that some commanders have gone soft on traditional military discipline. The total of general, special and summary court-martial cases handled by the Army, Navy, Air Force and Marines has plummeted by nearly 70 percent during the past decade — down from 6,377 in 2007 to 1,980 in 2017, according to a Military Times analysis. Military Times found that less severe non-judicial punishment cases also tumbled — down nearly 40 percent over the same span. The dive in Uniform Code of Military Justice enforcement far outpaced the drawdown in overall active-duty troops. Combined end strength of the four services dropped by 14 percent since 2007 to roughly 1.3 million in 2017. Are the Germans Waking Up? I spent the last few weeks in Germany and the Netherlands. In the former, though not the latter, I received the impression that das Volk is waking up. This is more than a response to the flood of Islamic immigrants. I saw plenty of those, women swaddled like mummies and attended by hordes of children, groups of young men with hard eyes, all living on welfare paid by Germans who work. The immigrants are a proximate cause of the German awakening, but there is more to it than that. As in the U.S. and some other European countries, ordinary Germans are starting to realize that the globalist Establishment has been giving them the mushroom treatment: keeping them in the dark and feeding them horse manure. This came through most clearly when I got into conversations on trains, in beer gardens, or just sitting on a park bench smoking my pipe. When asked why I was visiting Germany, I replied that German history was a lifelong interest. That in turn interested the Germans, who know virtually nothing about their history. The Establishment has told them that apart from their war of national liberation from Napoleon, their whole history is just a lead-in to the thirteen years of the Third Reich. WASHINGTON — Following the Sept. 11 terrorist attacks in 2001, the United States became the first nation in NATO history to invoke Article 5, the organization’s premise that an attack on one country is an attack on all of its member countries. 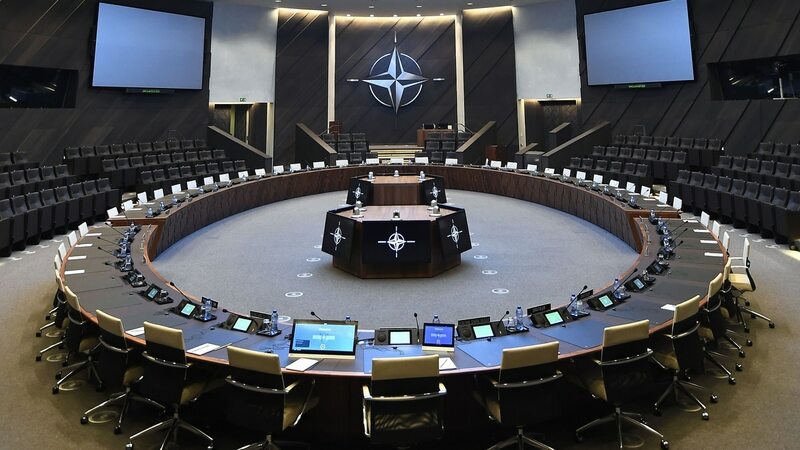 The rarity of this act is why some officials raised eyebrows when NATO made it clear last year that a large-scale cyberattack against a member nation could now trigger the same response. As Sweden’s election results came in around midnight on Sunday, almost all of the country’s major parties were feeling like winners. The ruling Social Democrats were pleased simply because they did not collapse completely, as their brethren have done in the Netherlands and Germany. Although their 28.4 percent of the vote was nearly three percentage points below their 2014 result, they remained the single-largest party in the country. Their current coalition partner, the Greens, was relieved not to fall out of parliament. And the center-right Moderates, despite their vote share dropping from 23.3 to 19.8 percent, were happy because they remained Sweden’s second-largest party. ON FRIDAY, BRITISH Airways disclosed a data breach impacting customer information from roughly 380,000 booking transactions made between August 21 and September 5 of this year. The company said that names, addresses, email addresses, and sensitive payment card details were all compromised. Now, researchers from the threat detection firm RiskIQ have shed new light on how the attackers pulled off the heist. RiskIQ published details tracking the British Airways hackers' strategy on Tuesday, also linking the intrusion to a criminal hacking gang that has been active since 2015. The group, which RiskIQ calls Magecart, is known for web-based credit card skimming—finding websites that don't secure payment data entry forms, and vacuuming up everything that gets submitted. 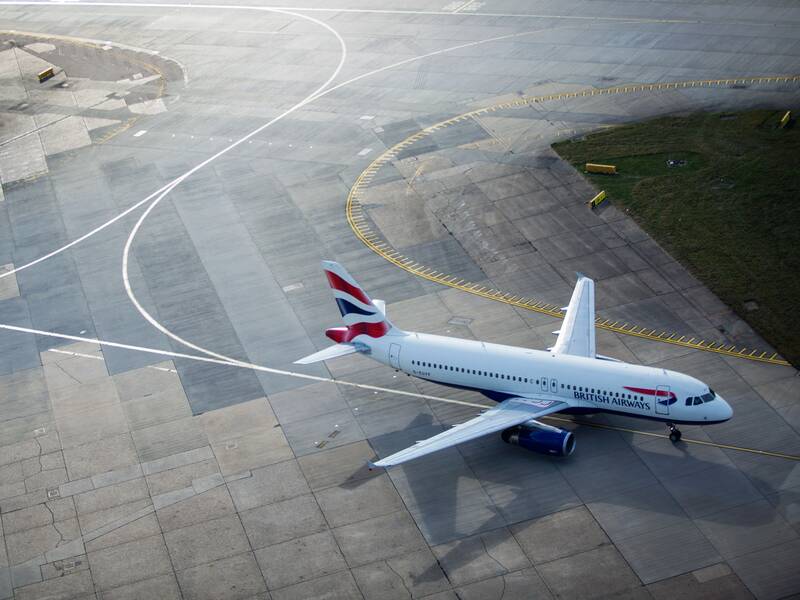 But while Magecart has previously been known to use the same broadly targeted code to scoop up data from various third-party processors, RiskIQ found that the attack on British Airways was much more tailored to the company's specific infrastructure. For military officers, strategic thought is a subset, along with tactical and operational thinking, of their roles as organizer, planner, and warfighter. However, strategic thought is distinct from the other forms of thinking in which officers must engage by virtue of its much greater complexity. It is also the way of thinking that most requires the officer to be self-conscious, or metacognitive, and in effect to distance herself from the kinds of thinking required for the tactical and operational levels of war at which she normally functions. In its complexity of ways, means, and ends, strategy is more than just another level of war. Perhaps this is why the record of strategy is so marked by error and failure. Failure in war is most often a failure of strategy. For the officer, this means all the effort, sacrifice, and success at the tactical and operational levels may well come to naught because of a flawed strategy. In this article, I will consider the nature of strategic thought and the officer’s role in it to determine why this is so, and what is to be done.